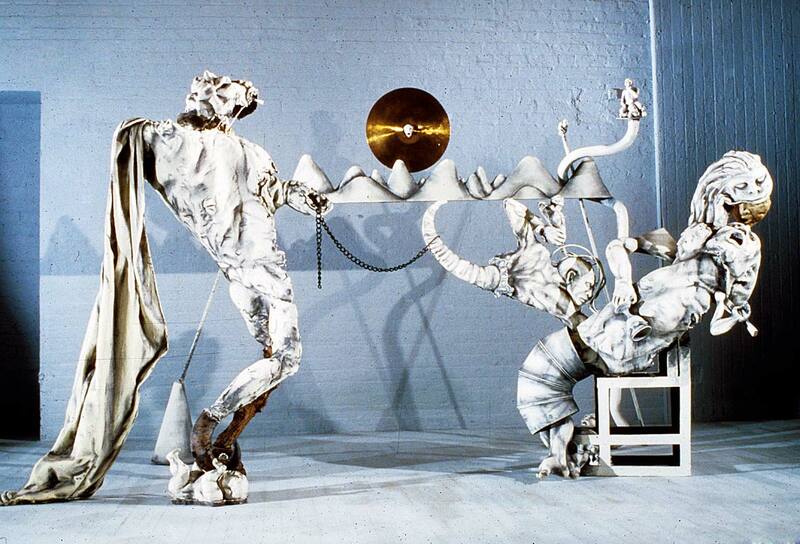 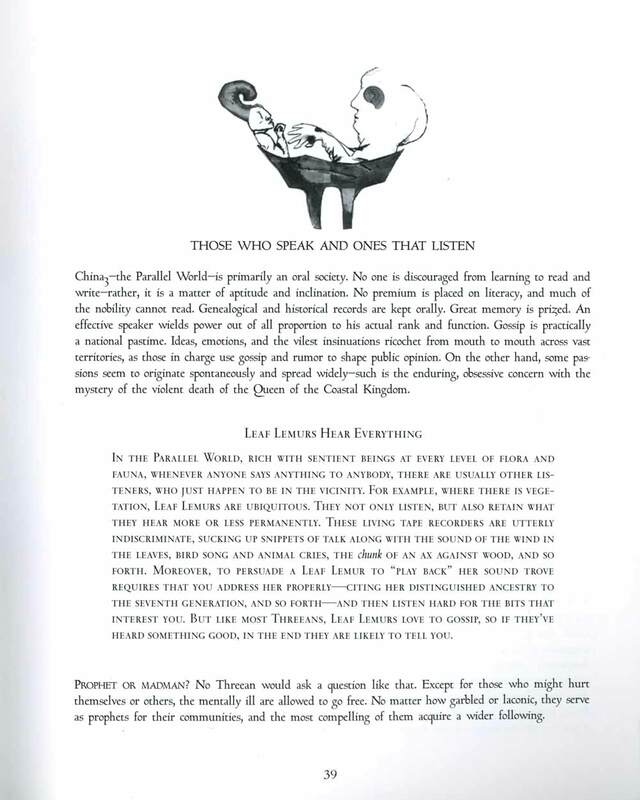 Essay "Those Who Speak and Ones That Listen" by China Marks from exhibition catalog for "Who Killed the Queen?" 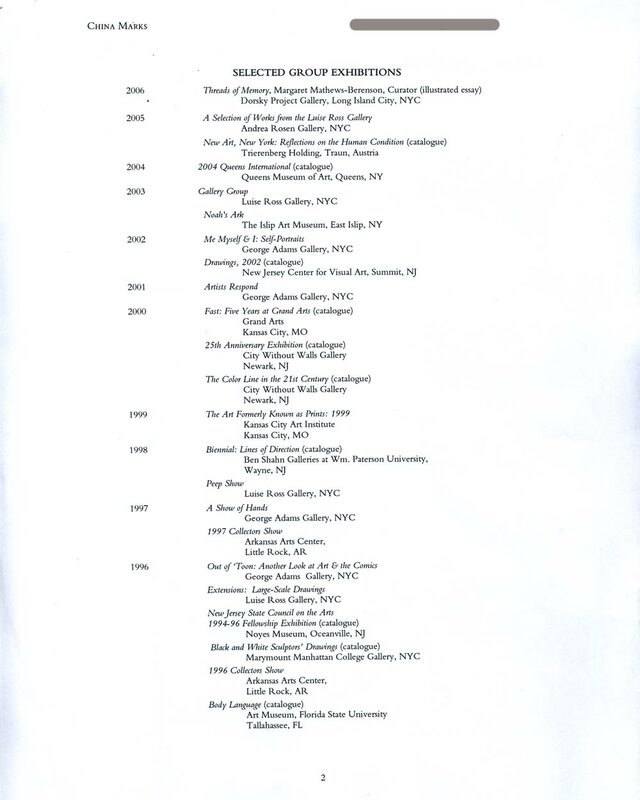 at Tomasulo Gallery, Cranford, from Sep 25-Oct 29, 1998. 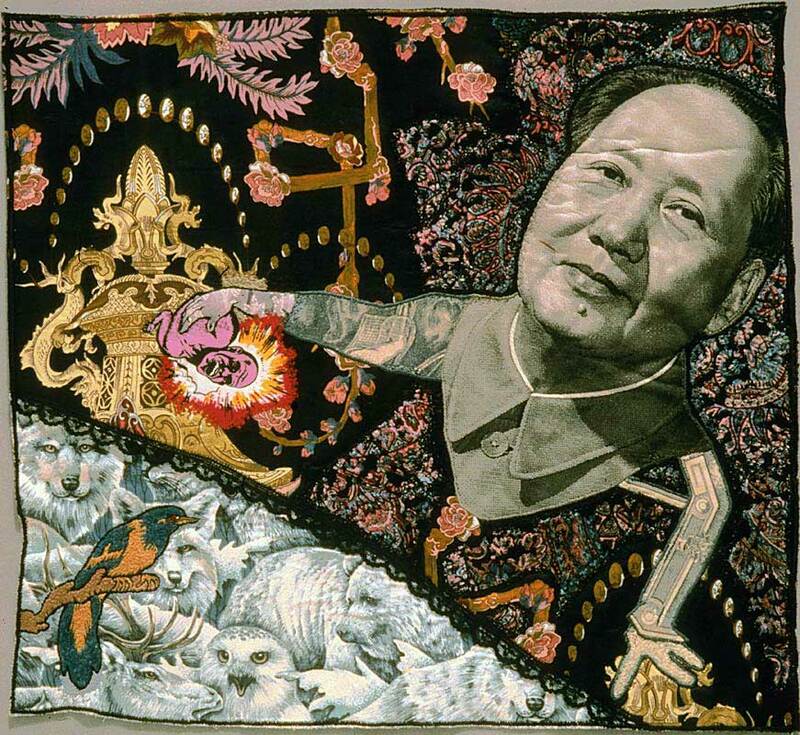 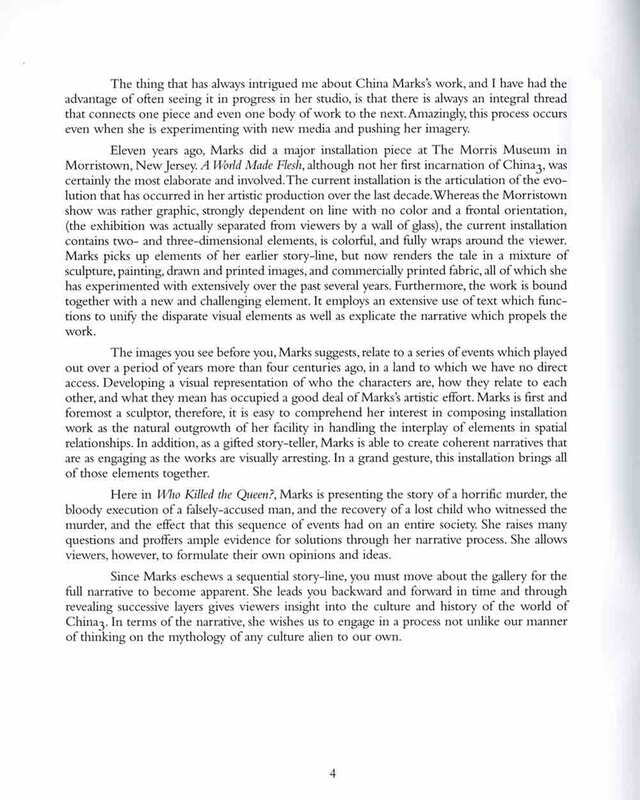 Excerpts by China Marks from exhibition catalog for "Who Killed the Queen?" 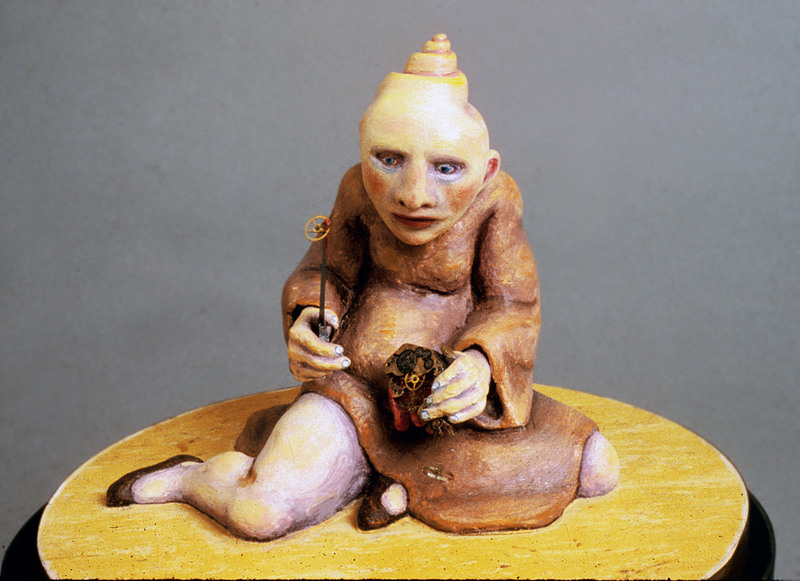 at Tomasulo Gallery, Cranford, from Sep 25-Oct 29, 1998. 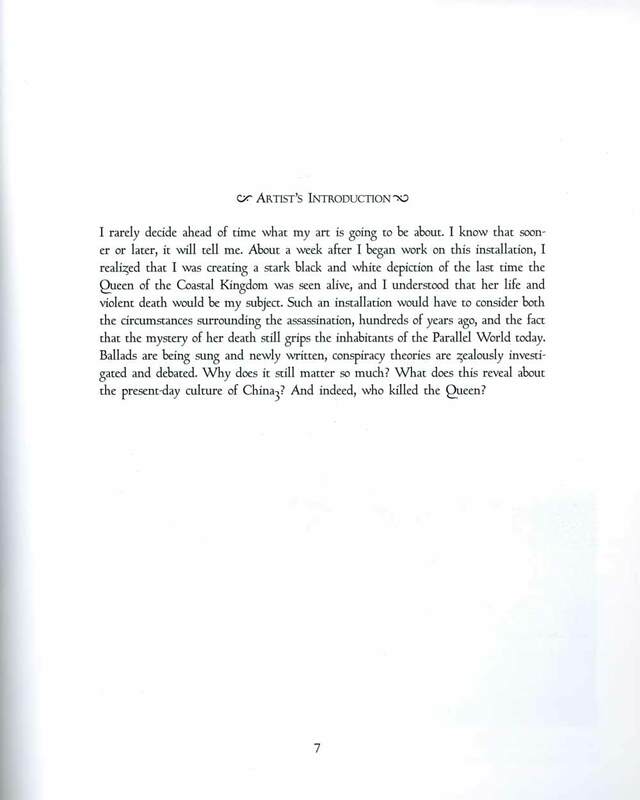 Introduction by Robert Ferguson to exhibition catalog for "Who Killed the Queen?" 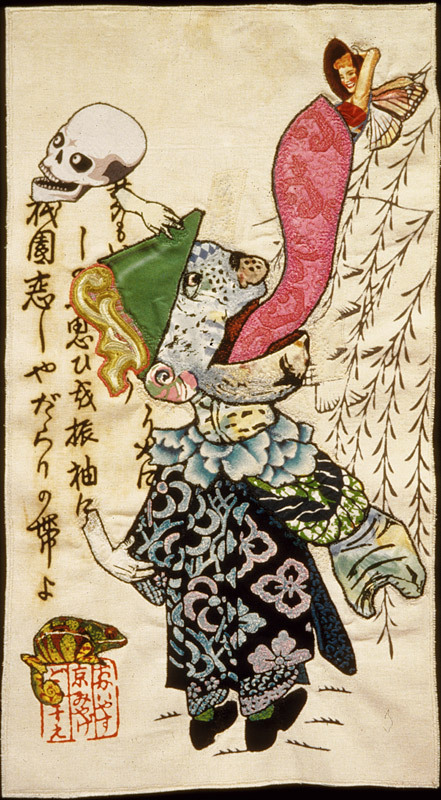 at Tomasulo Gallery, Cranford, from Sep 25-Oct 29, 1998. 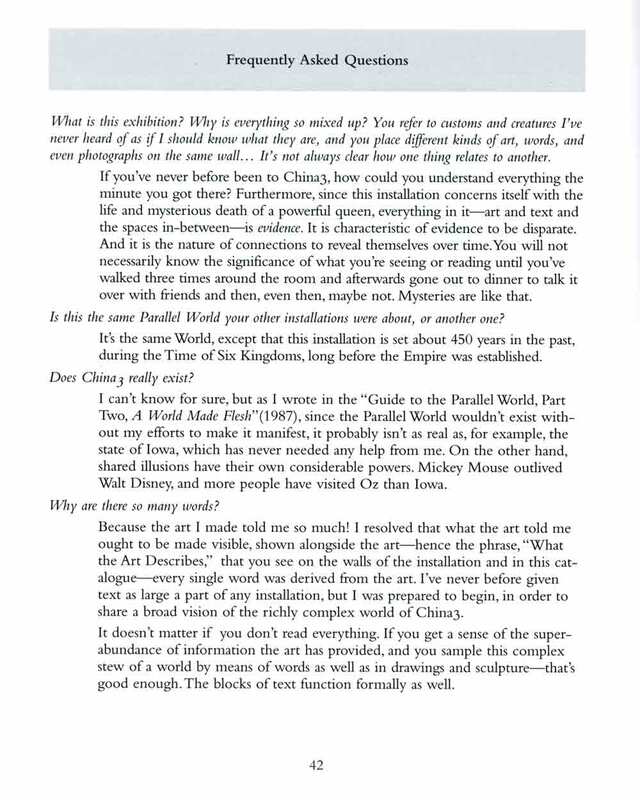 FAQ by China Marks from exhibition catalog for "Who Killed the Queen?" 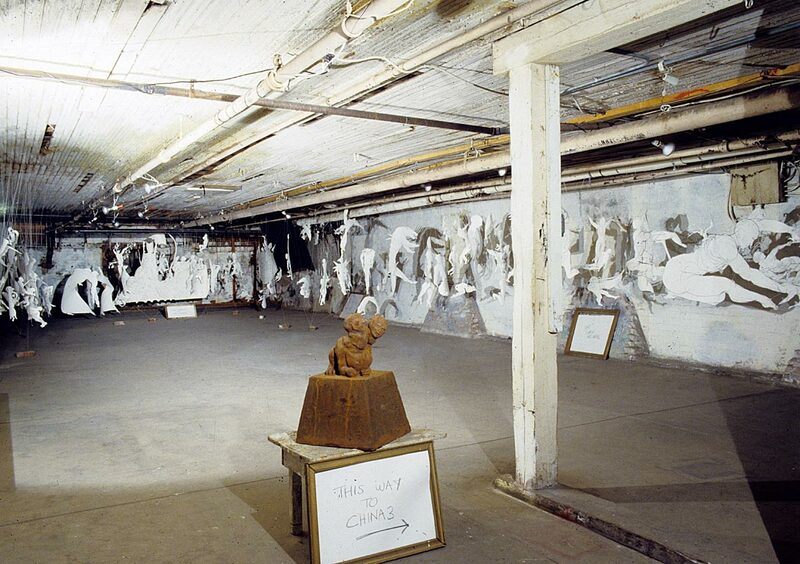 at Tomasulo Gallery, Cranford, from Sep 25-Oct 29, 1998. 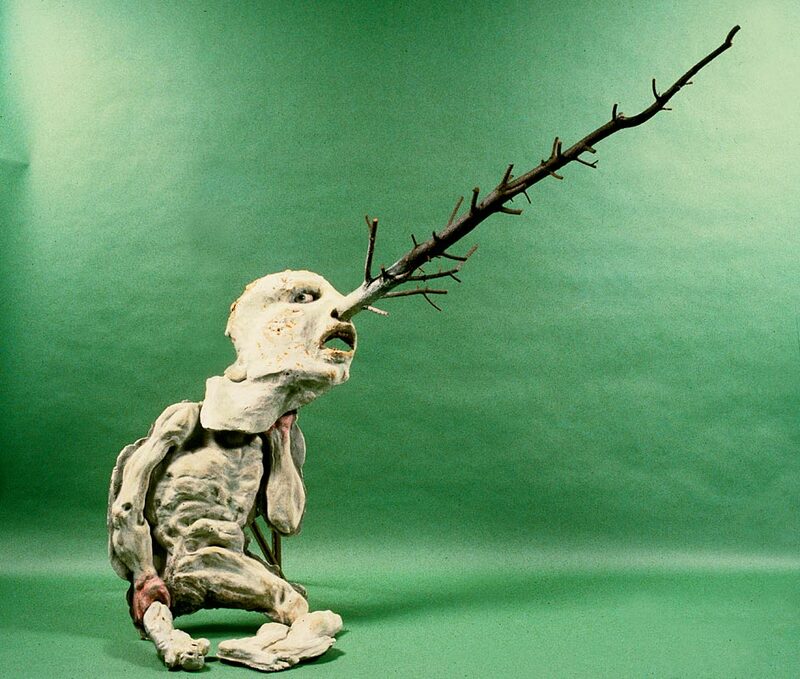 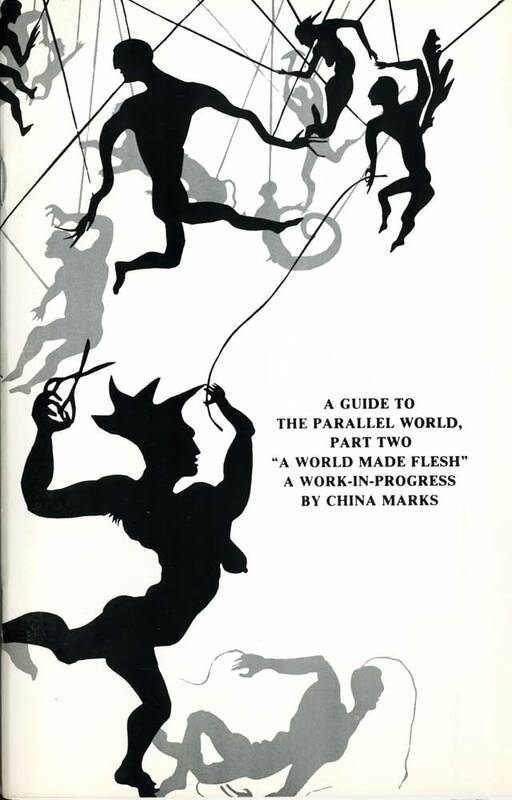 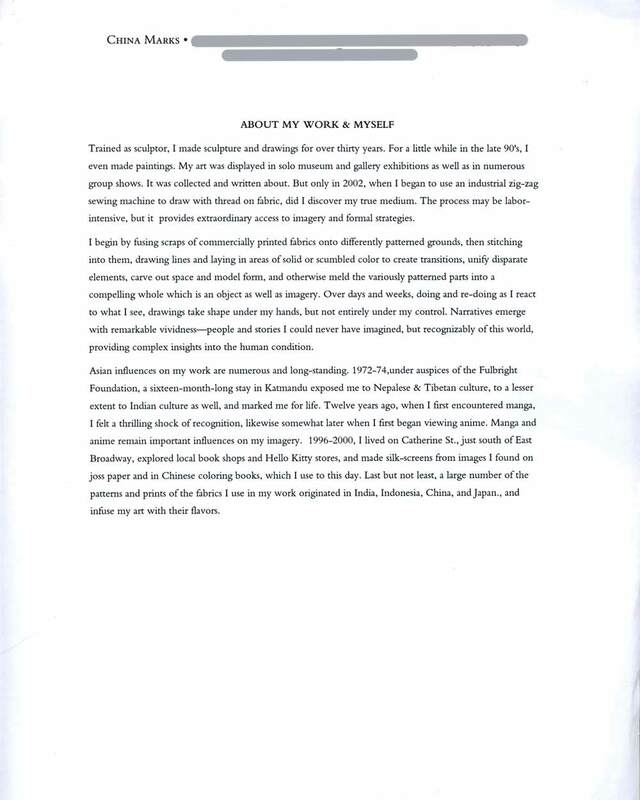 Excerpts from exhibition guide for "The Parallel World, Part Two, A World Made Flesh" at the Morris Museum, Morristown, from June 7-Aug 7, 1987. 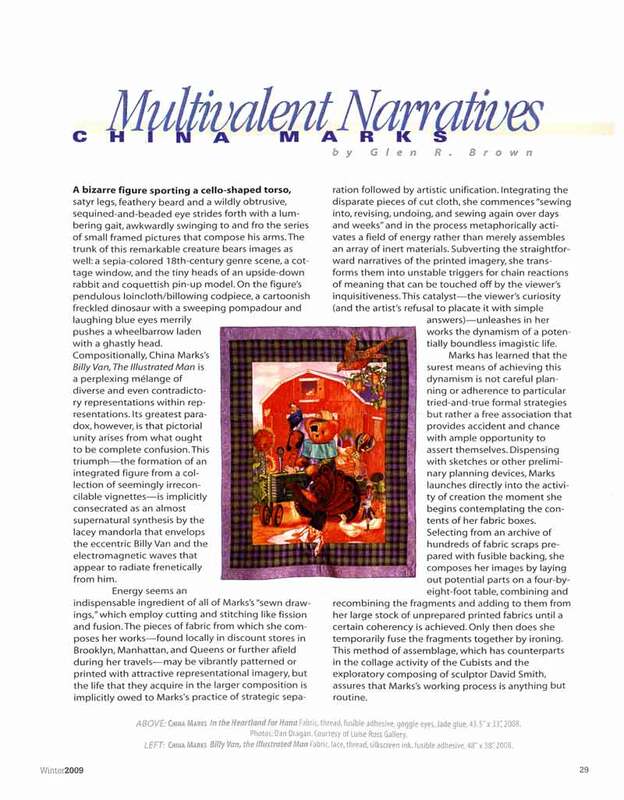 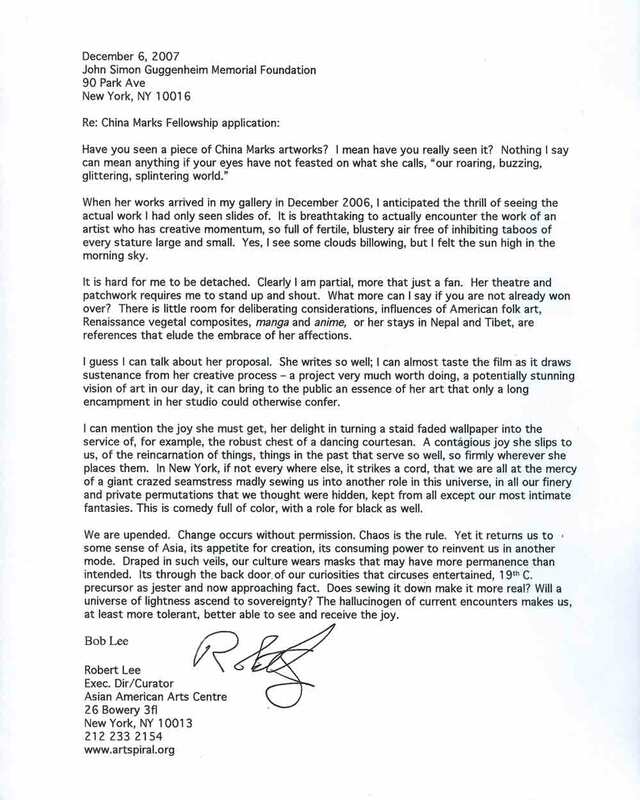 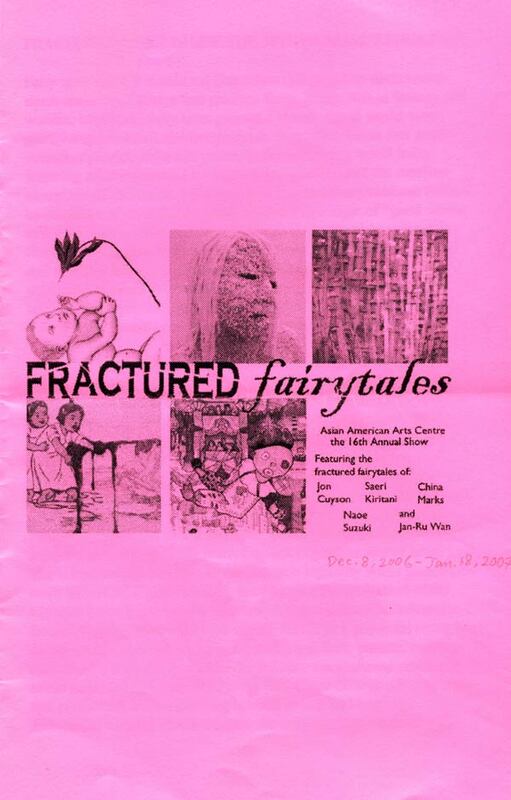 Exhibition brochure for "Fractured Fairytales: Asian American Arts Centre 16th Annual Show" at Asian American Arts Centre, New York City, from Dec 8, 2006-Jan 18, 2007, with artists Jon Cuyson, Saeri Kiritani, China Marks, Naoe Suzuki, and Jan-Ru Wan. 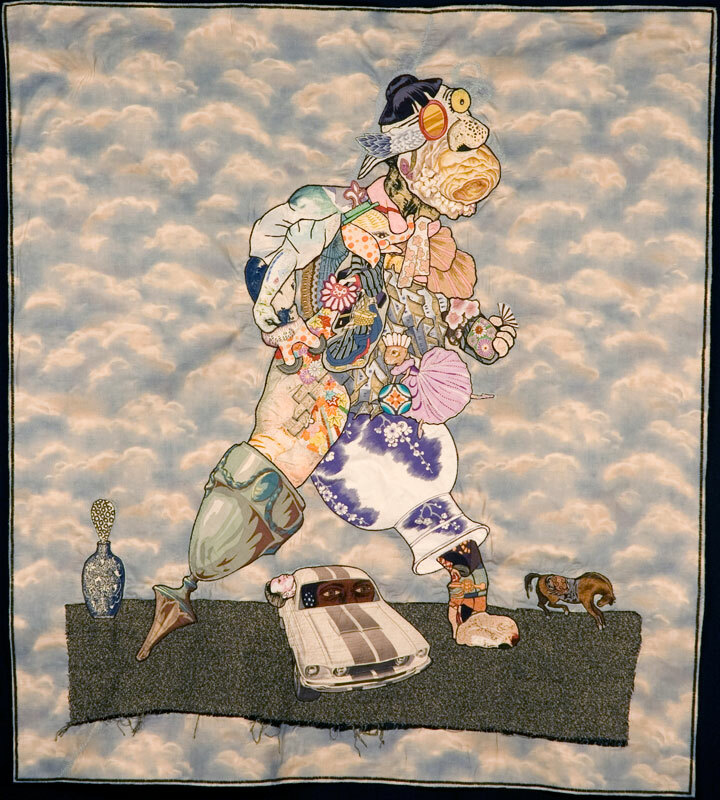 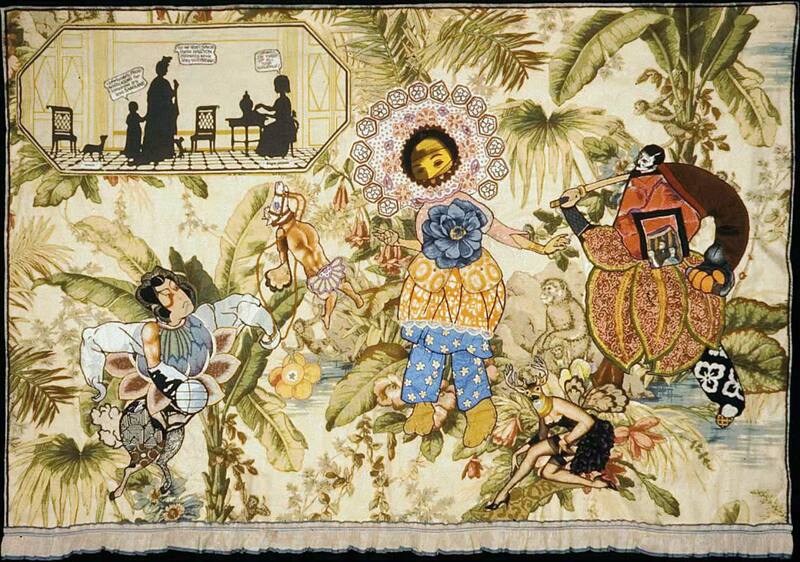 Exhibition held at Marianna Kistler Beach Museum of Art, Kansas, from Oct. 21-Dec. 16, 2007. 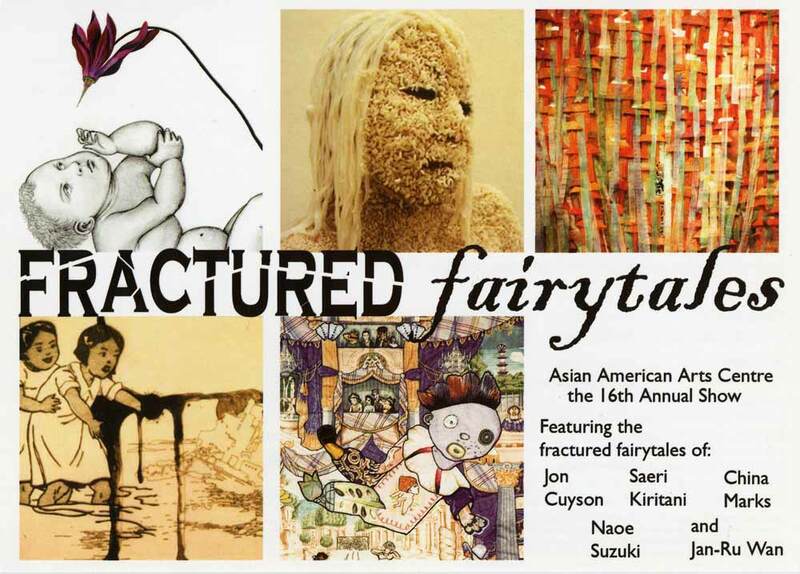 Exhibition postcard for "Fractured Fairytales: Asian American Arts Centre 16th Annual Show" at Asian American Arts Centre, New York City, from Dec 8, 2006-Jan 18, 2007, with artists Jon Cuyson, Saeri Kiritani, China Marks, Naoe Suzuki, and Jan-Ru Wan.